Photographs can survive far longer than the memories of the people in them. Each one is a unique piece of history frozen in time, a window to the past that has the power to spark our imagination about the stories of days gone by. 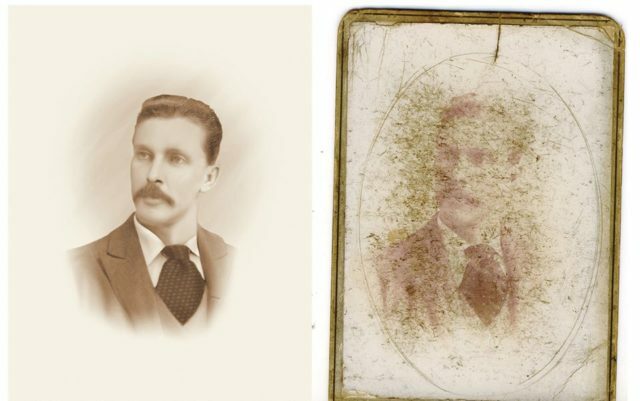 But even a photograph can’t last forever, especially when it comes to antique images. 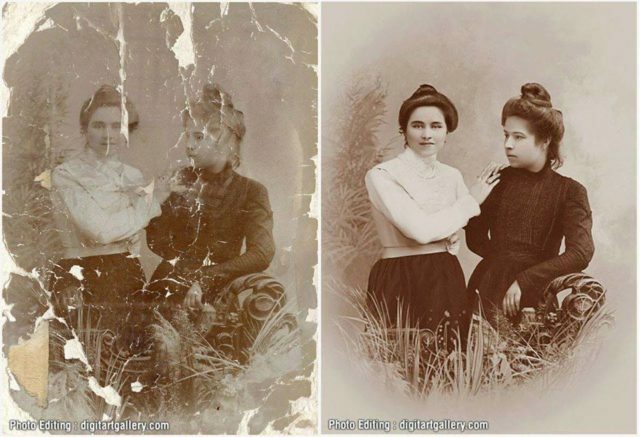 Photography wasn’t always so available and affordable. In its earliest days, taking a photograph was a complicated, time-consuming process that was undertaken only by a few enthusiasts — with deep pockets. 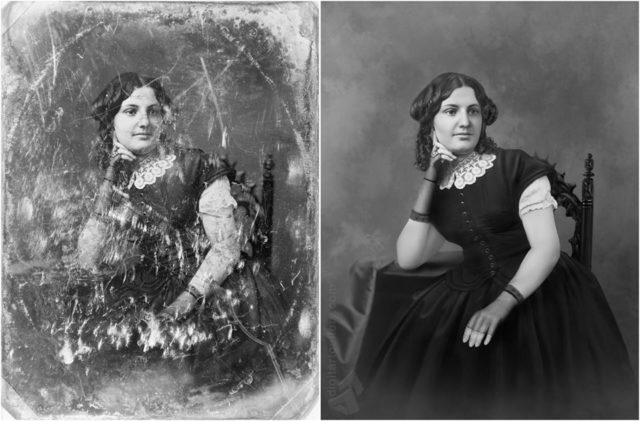 One of the oldest photographic techniques, the daguerreotype, needed an exposure time of at least 15 minutes — a far cry from the phenomenon of instantly shared selfies and meal-shots have become popular in the past decade. 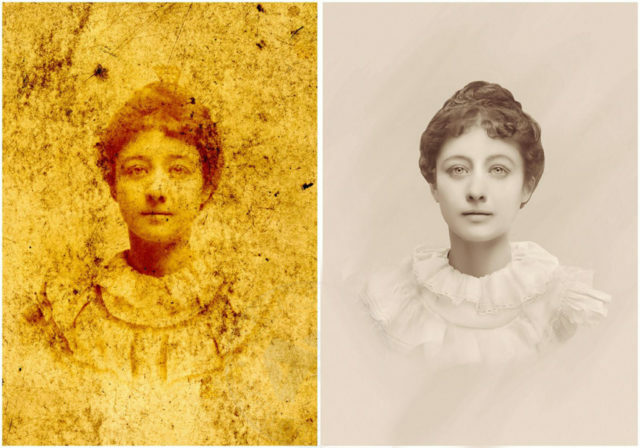 Popularity for the medium grew and decades of experimentation with different chemicals eventually led to the first Kodak camera, which hit the market in 1888. George Eastman’s easy-to-operate innovation was the first commercially produced camera. It brought photography into the hands of ordinary people, not just trained specialists, although it still required a certain amount of practice and skill to turn out good pictures. In the past, people deeply cherished their cameras and captured only what was extraordinary or important for them. And that’s one of the reasons why antique photographs are so important and meaningful today — because they make us curious. 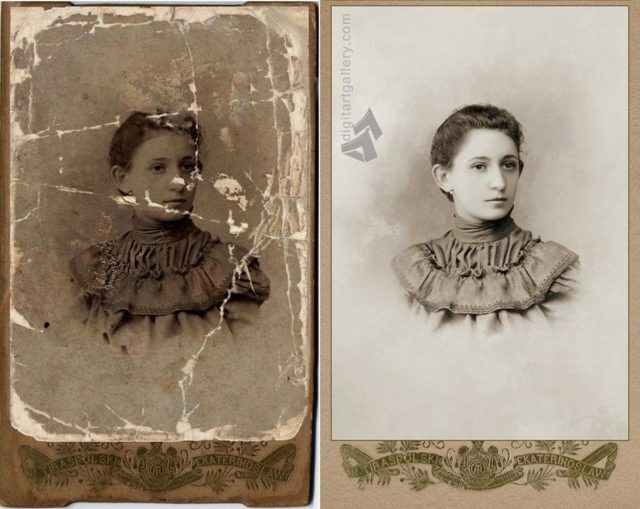 His was not the first photographic image but it was the first that did not quickly fade, and is the oldest surviving photograph. It is a scene of the real world –- a courtyard and rooftops. Aesthetically the photograph is not terribly interesting but historically it is very important. The person who owned View from the Window at Le Grass until 1952 thought that the image had faded completely until a photographic historian examined it and found the image was still visible if viewed at an acute angle. After careful restoration work to save the iconic image from being lost forever, it is now preserved in digital format. 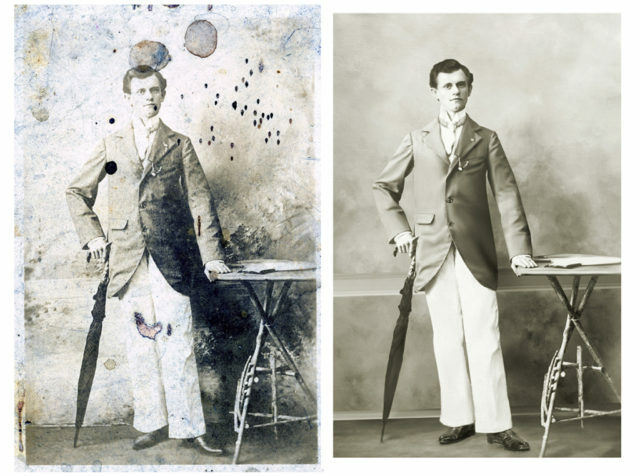 For nearly two centuries photography has been an essential tool for keeping our past alive. We even measure time and aging with the visual documentation. It is a reminder of moments of our lives and people we love, who sometimes are not around us anymore. The last thing we want is for those to memories disappear. 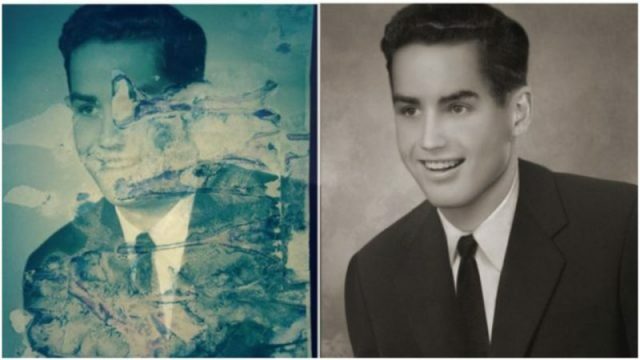 But just like memories, photographs can fade and can be easily damaged. Nowadays we can safely store thousands of digital photographs, although even these are not eternally safe from corruption. Aside from the risk of getting lost, physical images and their negatives can suffer damage due to exposure to light, extreme temperatures, or humidity. Also, improper storage and infestation by insects, mold or bacteria can easily leave holes and stains. That’s how we learned the importance of art of restoration. 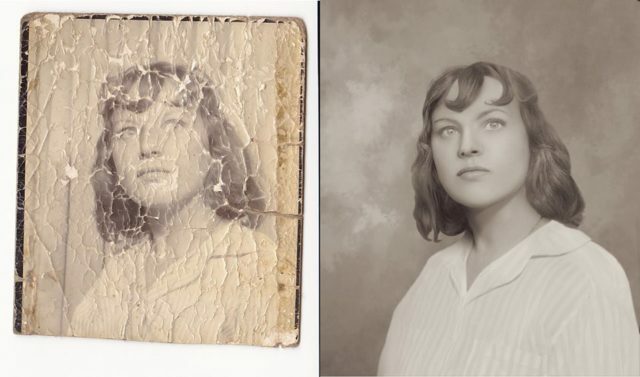 Today there are many professionals who have turned their passion for bringing damaged photographs back to life into their profession. 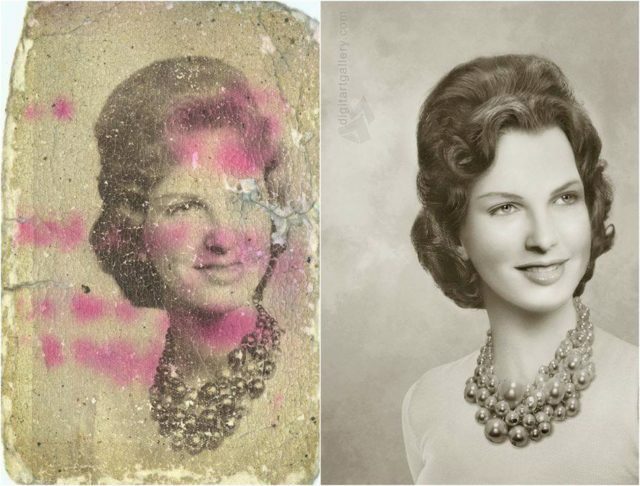 And when it comes to photo restoration there aren’t many who can match the skills of Ukrainian digital artist Tetyana Dyachenko. Her art is a reminder of how art matters in this world. Nothing, not even water damage, stains, cuts, or holes are a threat to Dyachenko’s talent. 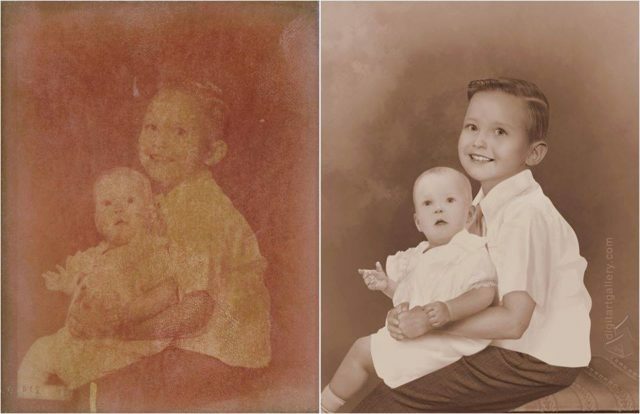 Restored vintage photo by Tetyana Dyachenko. 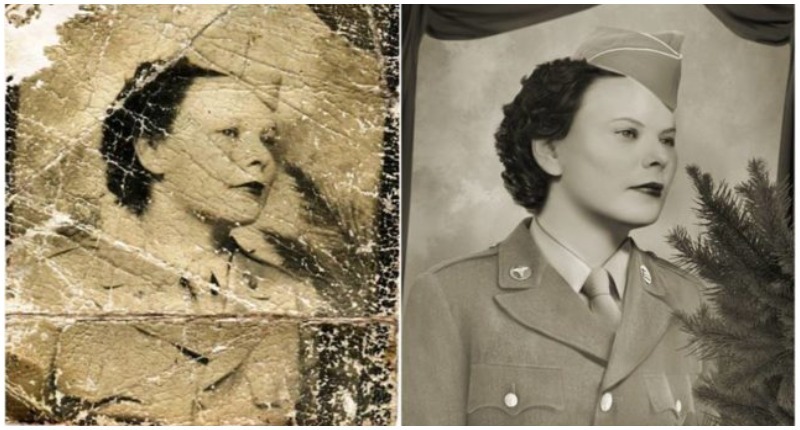 Using her artful conservation skills, Dyachenko can bring even the missing sections of photographs back to life.